When you buy a Marine Motor you want the best—undoubtedly you try to find out which is the “best.” You want a motor that Is “trouble proof” for when the engine stops the boat stops. You want an engine that is dependable and that will last more than one season, at a minimum cost for repairs and fuel. If you have a racing boat you want “to win”—if a pleasure launch you want to know that when you take a pleasure trip you will not have to be towed home. You don’t want any base explosions that make your family and guests think the motor is going to blow up. Designed by E. W. Roberts, M. E., one of the most expert mechanical engineers in the United States and constructed under his personal supervision, they are infinitely superior to every other marine motor made in this country. You ask “why”? Well! 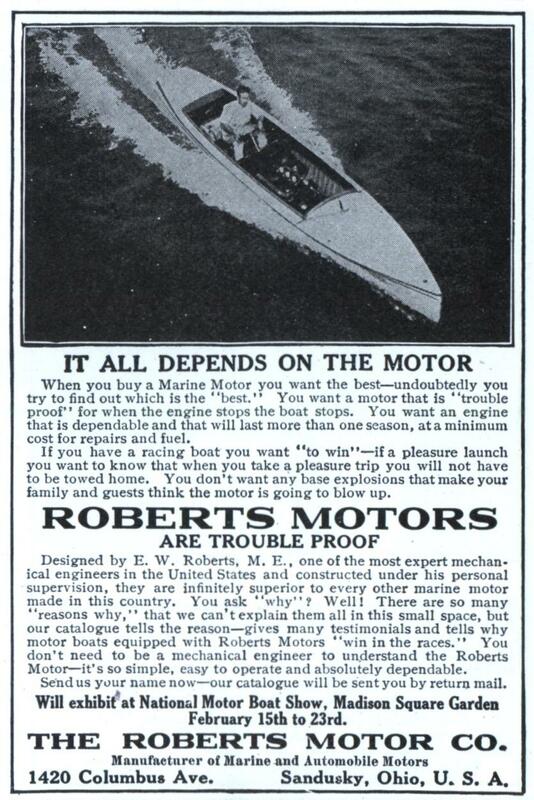 There are so many “reasons why,” that we can’t explain them all in this small space, but our catalogue tells the reason—gives many testimonials and tells why motor boats equipped with Roberts Motors “win in the races.” You don’t need to be a mechanical engineer to understand the Roberts Motor—it’s so simple, easy to operate and absolutely dependable. 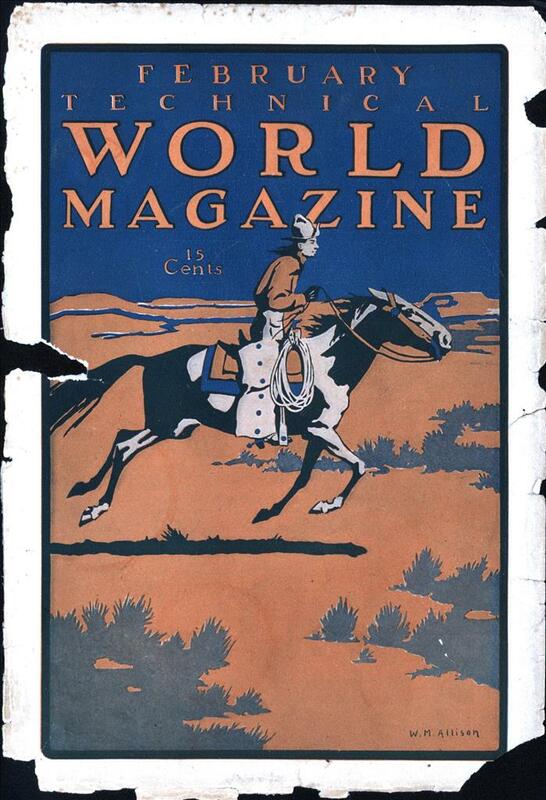 Send us your name now—our catalogue will be sent you by return mail. Will exhibit at National Motor Boat Show, Madison Square Garden February 15th to 23rd. Sandusky, Ohio, U. S. A.